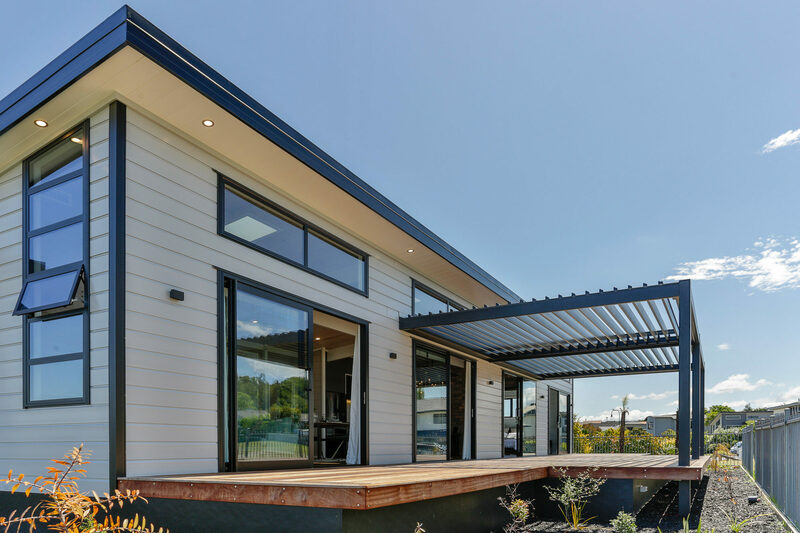 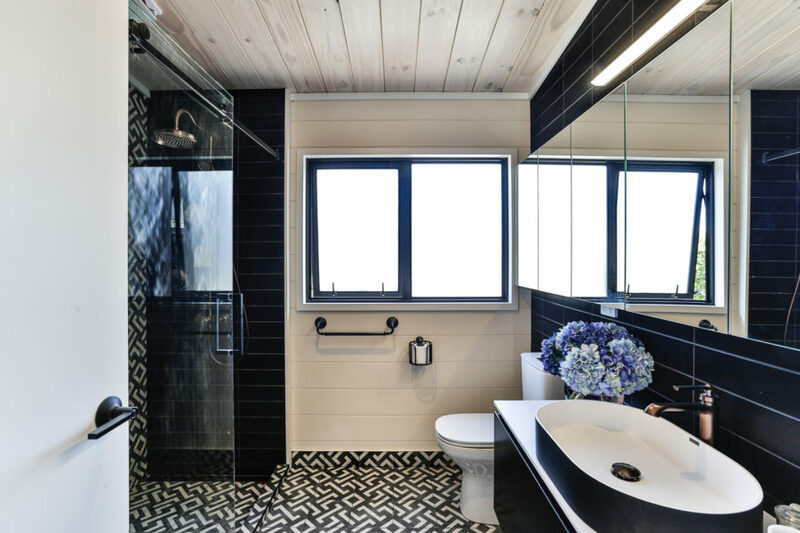 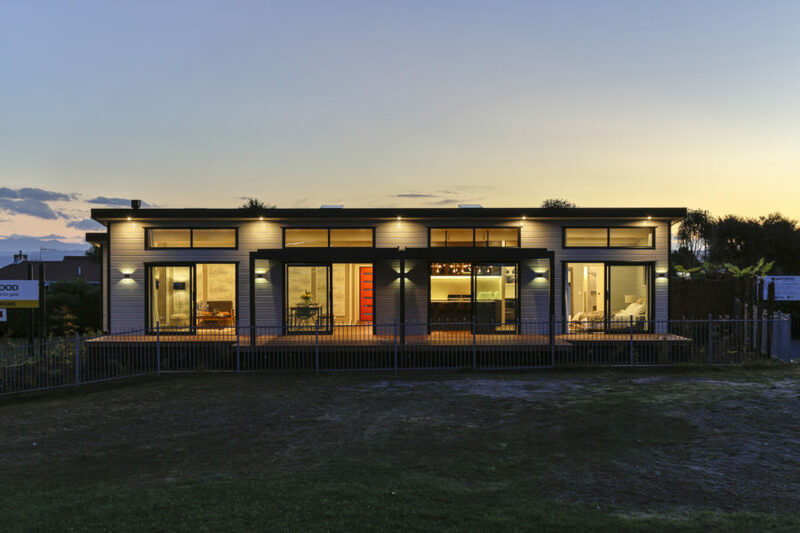 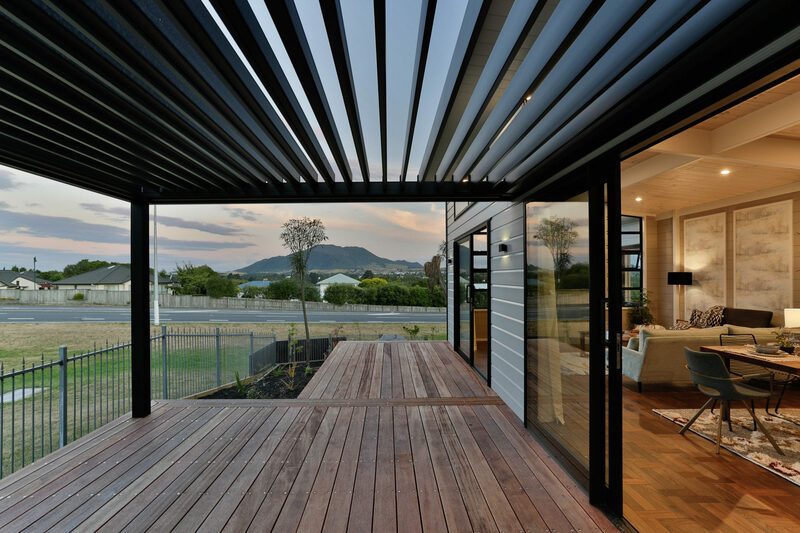 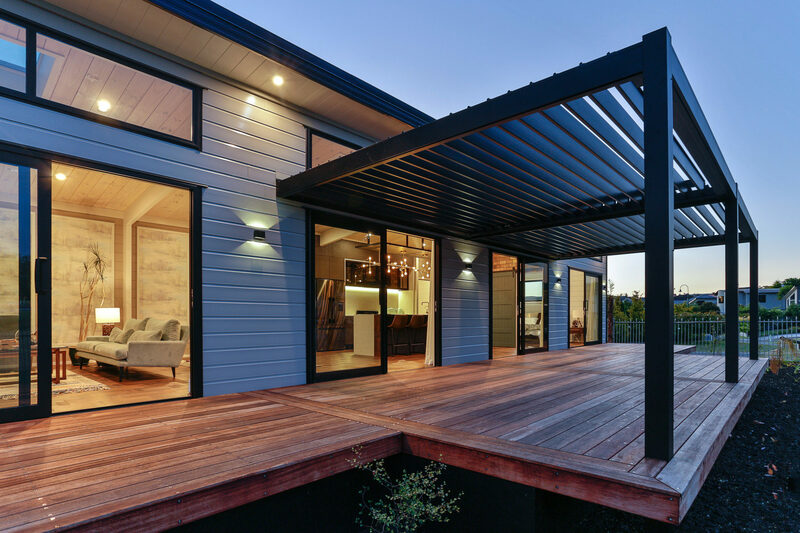 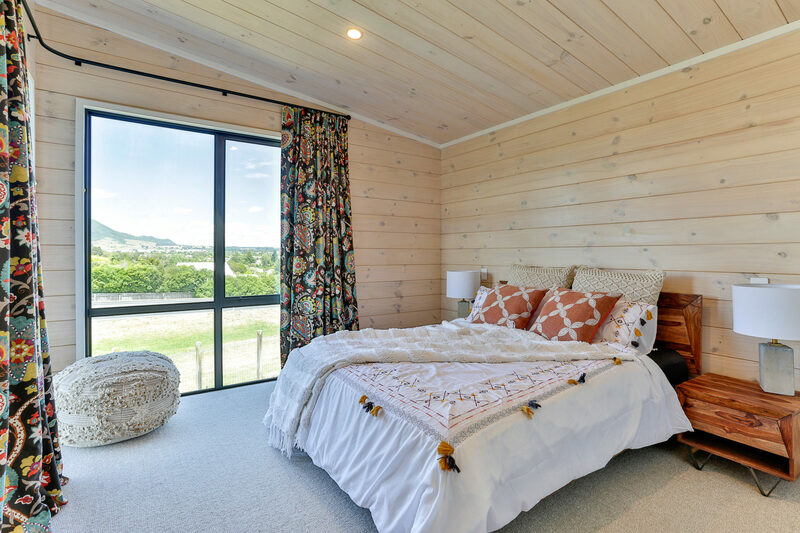 The Acacia show home was conceptualised by our architectural designers at Lockwood Group to perfectly suit its Taupo hillside site and built to a high end spec by Peter Richards Builders in Taupo. 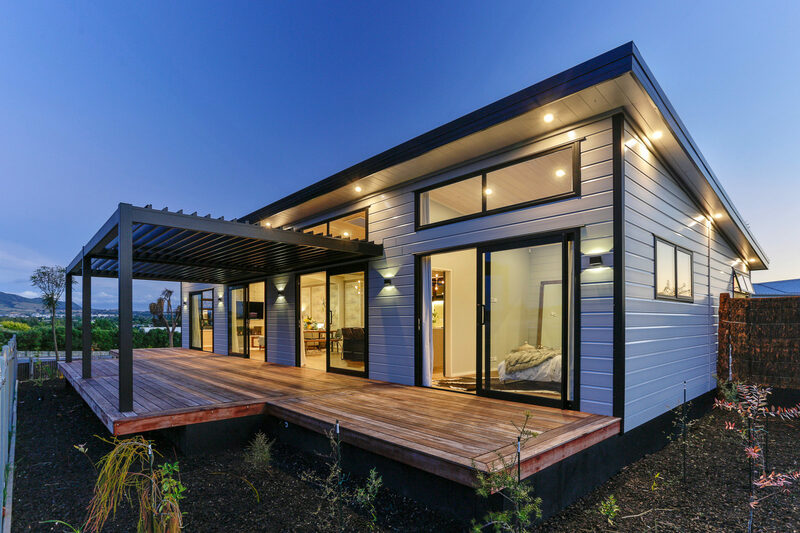 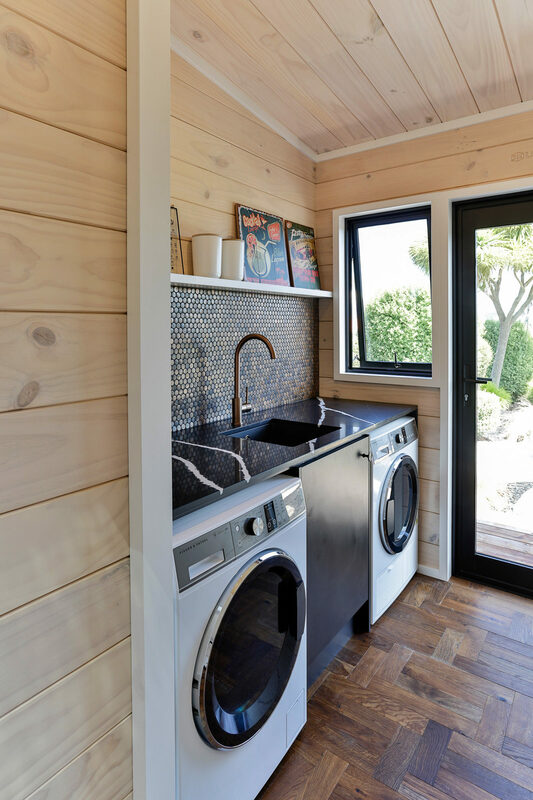 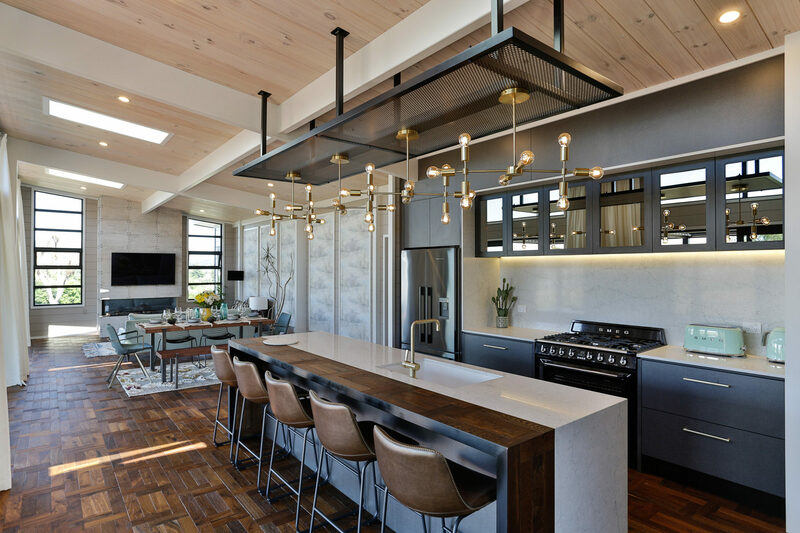 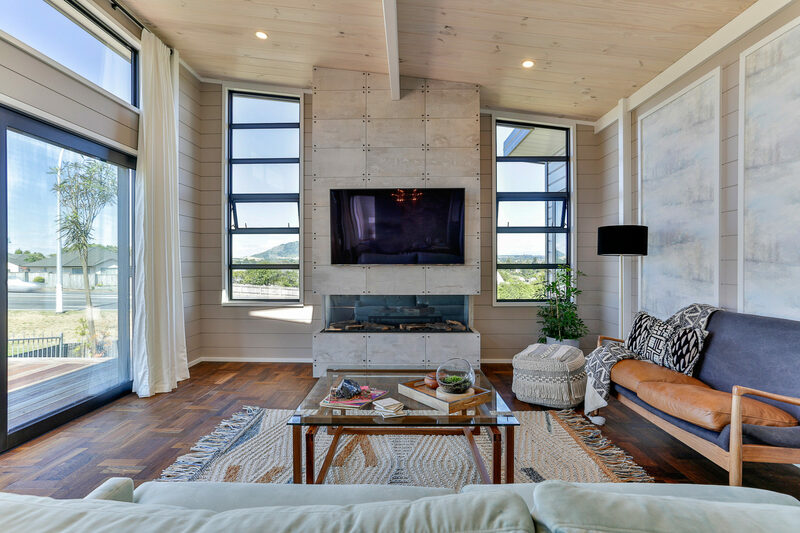 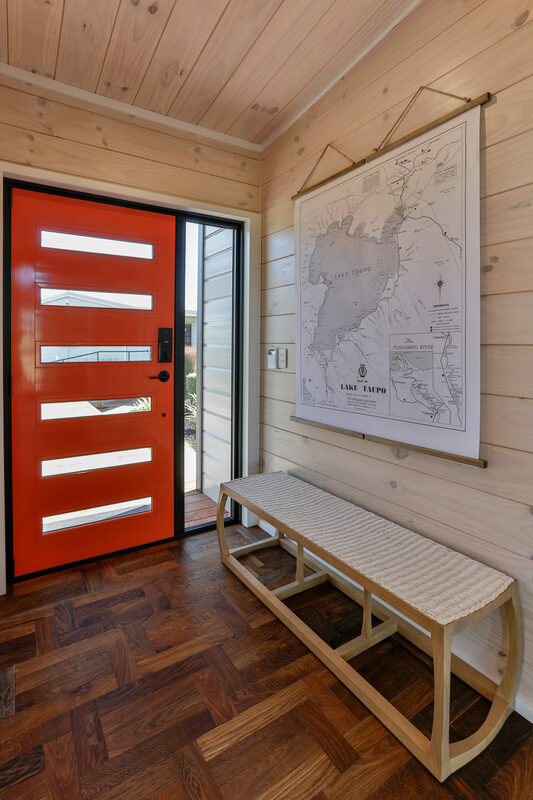 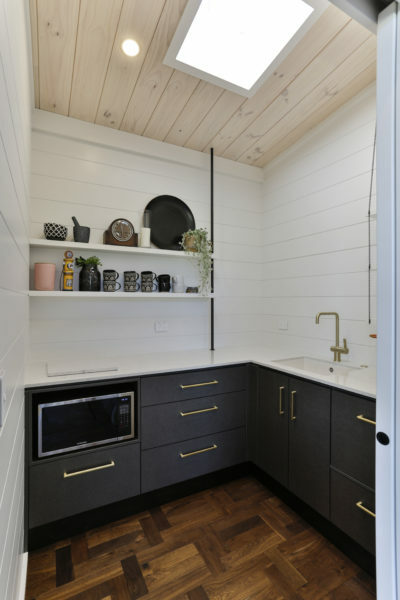 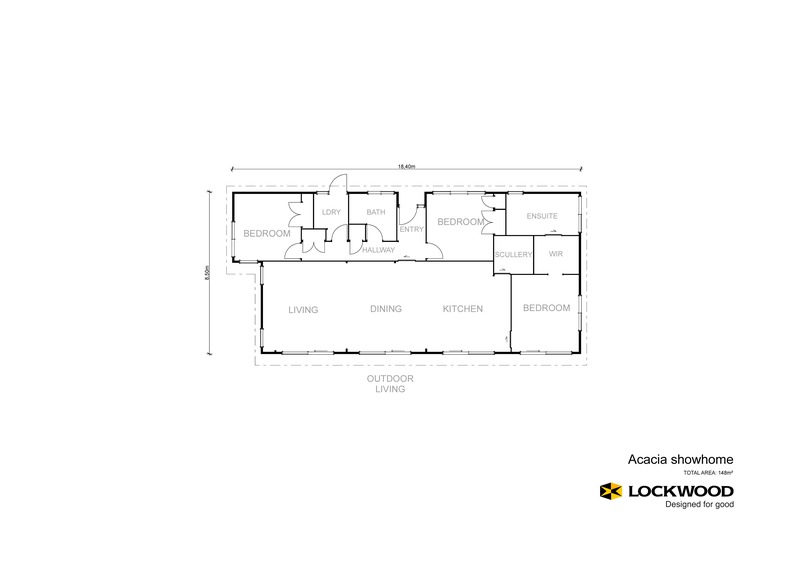 This absolutely stunning home showcases all options with the fit out of your new Lockwood, with timber, colour and style options being heroed throughout. 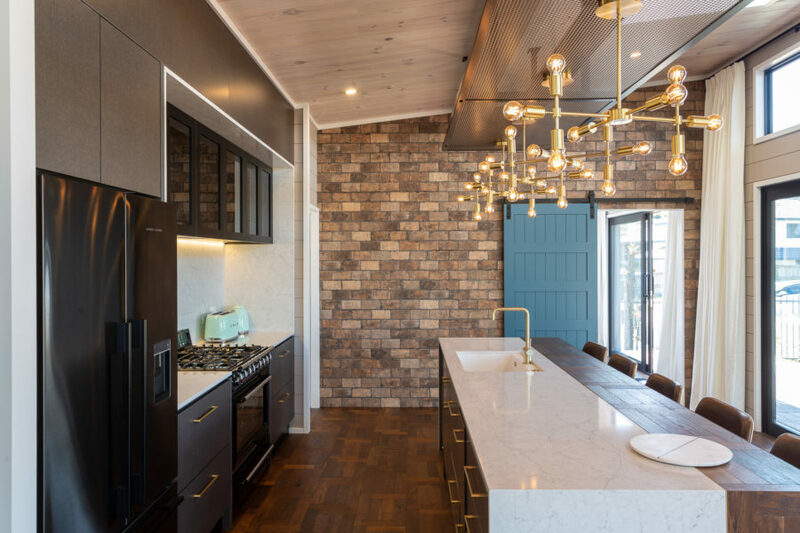 High raking blonded ceilings, with contrasting structural laminated beams compliment the painted feature walls and parquet flooring. 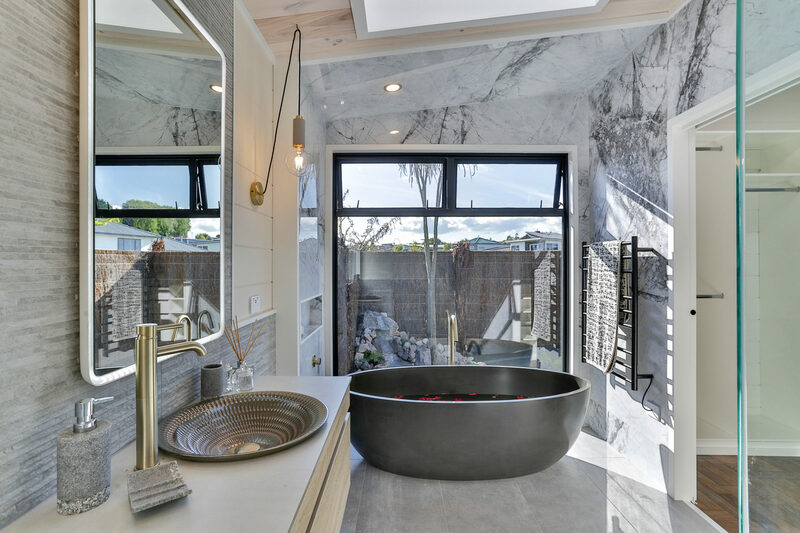 The en-suite with rock pool garden and black stone bath create a private oasis off the master bedroom. 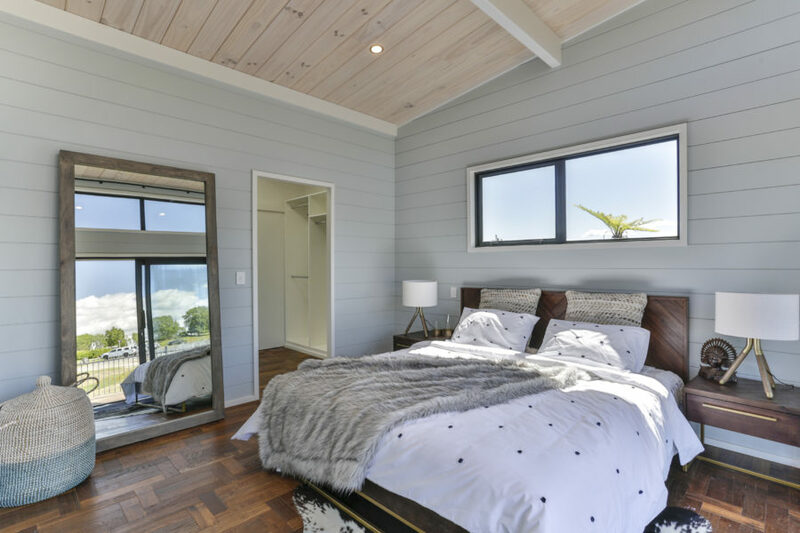 This brand new show home is a must see for anyone looking for design ideas for their new Lockwood – there is so much to see and experience.